Delaplane is a small rural community in Fauquier County, Virginia. 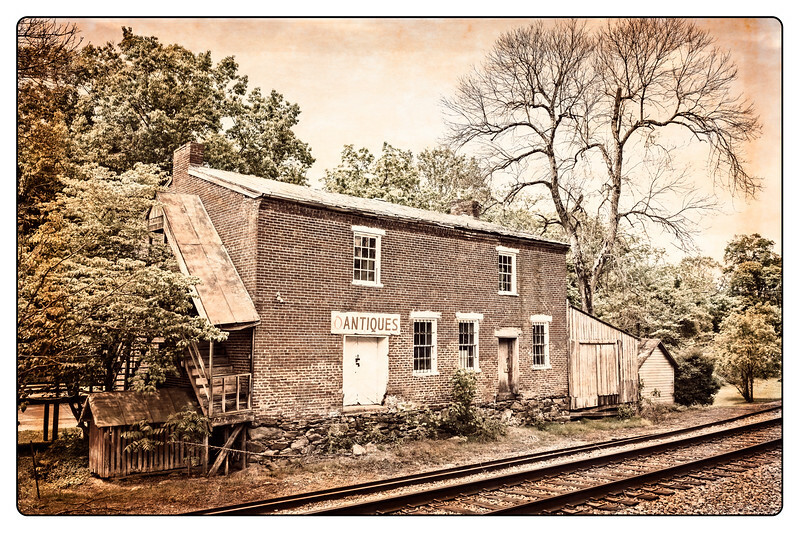 The village came into being after the building of the Manassas Gap Railroad in 1852. Construction of the railroad began the previous year at the junction of the existing Orange and Alexandria Railroad at what became known as Manassas Junction. The railroad headed west towards Front Royal, through the Manassas Gap in the Blue Ridge Mountains and into the Shanandoah Valley. Delaplane is situated where the railroad crosses the old Dumfries-Winchester Road (currently US Route 17). This is also the confluence of Goose Creek and Crooked Run. The Virginia General Assembly chartered the “Masassa’s Gap Railroad Company” in 1850. The railroad purchased 57 acres of land around the intersection of Crooked Run and the “Warrenton-Winchester Road”. They chose this site for Piedmont Station. 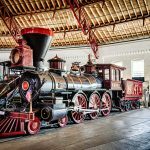 The name was changed to Delaplane in 1874 in honor W.E. 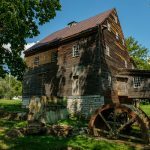 Delaplane, a prominent Ohio businessman who as the local postmaster restored the local general store in the aftermath of the Civil War. The first buildings constructed were the two brick warehouse/store buildings in the images here. A station, which has been demolished, was also constructed at the time, just to the east of the two warehouses. 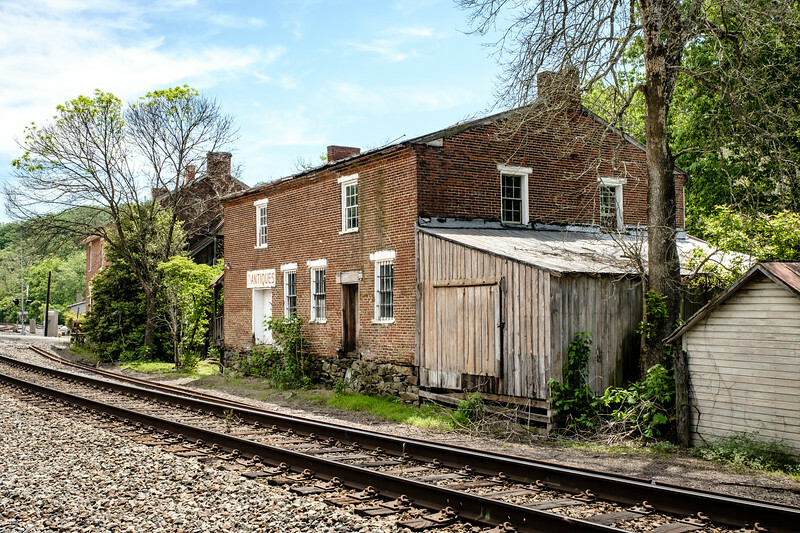 The two remaining structures are rare examples of antebellum brick buildings associated with the railroad. They are two of only a very few that survive in Virginia. The one to the east was known as Compns ( Company’s) Depot, Comps Warehouse, and later, Hatcher & McCarty’s Store and Warehouse. 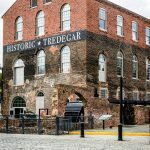 The building to the west, which is similar but lacks the architectural refinement of the other, was known as Roger’s Depot and later H. Roger’s Warehouse. 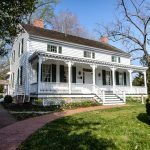 A Late Greek Revival/Italianate-style brick dwelling which was also built around 1852 survives (not photographed as it is a private house). 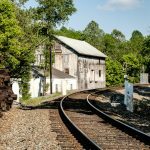 The Manassas Gap Railroad, and in particular Piedmont Station, has an important place in history. 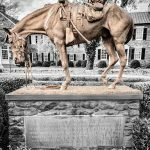 On July 19, 1861 General Stonewall Jackson marched his brigade from Winchester to Piedmont Station. Per the Historic Marker located alongside the railroad tracks, over ten thousand troops crowded onto rail cars for their journey to the First Battle of Manassas. This was the first time a railroad had been used to move troops into battle. The union army also used the same railroad line in later battles. Delaplane saw a decline in activity when the passenger railroad service was discontinued in the mid-20th century. The post office is still in operation providing a focal point for the surrounding communities, as is the large antique store which occupies both of the original warehouses . The railroad, now part of the Norfolk-Southern Railway, also continues in operation. 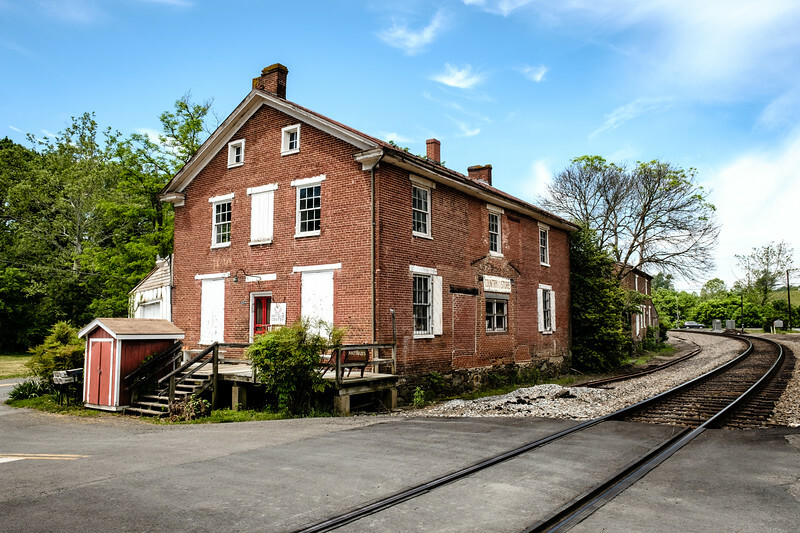 The Delaplane Historic District which is centered around the two railroad related warehouses was added to the National Register of Historic Places in 2003. I thought it would be fun to finish an image befitting the age of the two 1852 warehouses. The image here, having had my usual refinements added in Lightroom, was loaded into Photoshop. I then used On1 Photo’s Effects 10 three times, each time returning to Photoshop to control the effect by adjusting the opacity of the layer. This allowed me to bring back some of the original color whilst using a sepia toned Black & White effect. By placing the texture on a separate layer allowed further control over the final image. The frame needed to be the last step in the process as this actually adjusts the size of the final image to allow room for the frame. This change in size would not permit any opacity change to bring back the earlier layers as the layers no longer line up correctly. Delaplane is a small rural community in Fauquier County, Virginia. The village came into being after the building of the Manassas Gap Railroad in 1852.